It seems like a parenting rite of passage: Trimming your baby's nails for the first time, and failing at it. When my daughter was just a couple of weeks old, I nicked her finger and there was blood. Sleep-deprived and hormonal, I thought: Forget it. I can't do this. Who let me take this child home, anyway? But she was OK, and eventually, so was I. Babies' nails grow fast. And they like to explore their cute little faces with those cute little nails. Unless you want to stuff their hands in mittens for the first year (I know some parents who do), you'll need to trim them regularly. Here's how to do it. First off: No, you can't use your own nail clippers. That would be like trying to trim your fingernails with those giant scissors used for ceremonial ribbon cuttings. Use a pair of baby scissors or clippers made especially for tiny fingers. We liked this Piyo Piyo nail clipper when my daughter was a baby. Fridababy also makes a popular nail care kit called the SnipperClipper - it has a curved blade and a "spy hole" that you can look through and see exactly where you're trimming. For the first few weeks of your baby's life, a soft emery board is all you'll need for nail care. Newborn nails are soft enough to simply file down. Many parents like to trim their babies' nails while they're napping, and if you have a heavy dozer, that might be a good option for you. Wait about 20 minutes for the unsuspecting infant to reach a deep, non-REM level of slumber and then make your move. I, however, could barely let myself breathe on my child after she had fallen asleep. It isn't that she was a particularly light sleeper, but preserving the sanctity of The Nap was just that important. I couldn't risk it. A good alternative, I've found, is to trim your baby's nails right after a bath. They're usually happy and relaxed, and their nails are nice and soft. 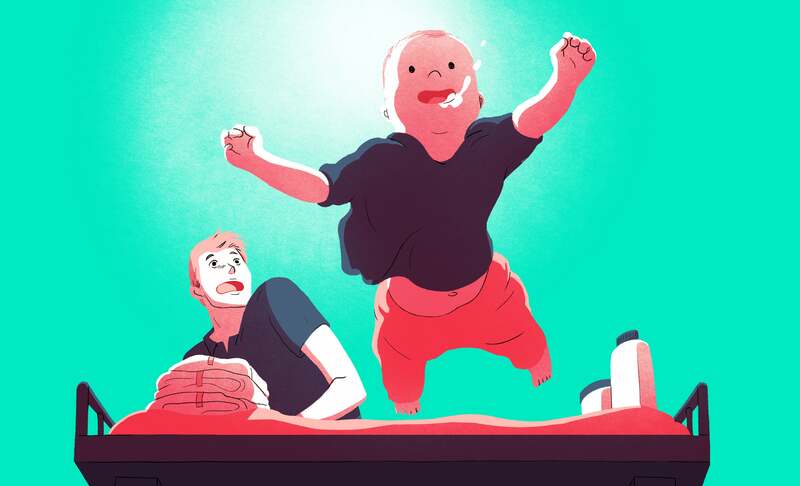 'Try not to drop your baby,' said paediatrician Tricia Jean Gold, who practices at Tribeca Pediatrics in New York City, when I call to ask her advice. Find good light - this is intricate work. To help you differentiate the nail from the skin, one trick I've heard is to run your baby's nails through a little bit of cornflour before trimming them. Now you have a good contrast. The Stick 'Em in a High Chair and Distract 'Em Method: When you're working with sharp tools, give yourself permission to strap your kid into a high chair and turn on a show. The Tag Team Method: Enlist a partner to hold your baby's hand as you clip, or vice versa. 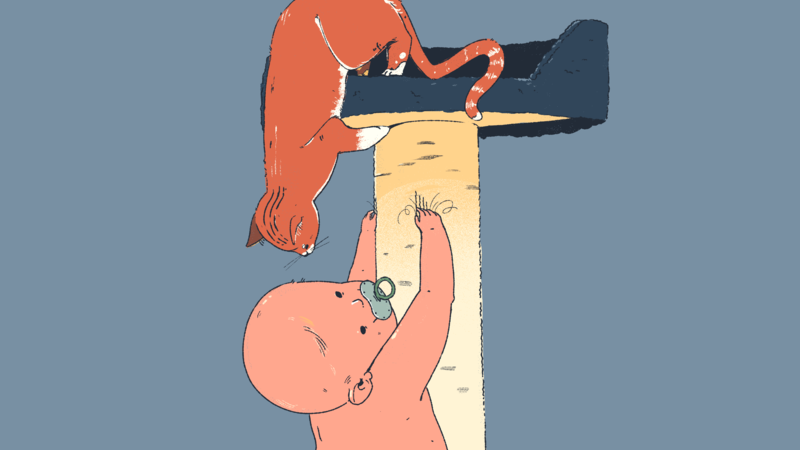 Once you've created the perfect set-up, how the heck do you actually trim a baby's nails? Grasp the baby's hand with a firm hold, press the finger pad away from the nail, and cut along the curve of the finger. With the child's toenails, you can cut straight across. Whatever you do, don't bite the baby's nails off. According to the American Academy of Pediatrics, parents who do this run the risk of exposing their baby to condition called herpetic whitlow, an infection caused by the herpes simplex virus. If you happen to nick your baby's finger in the process, do not freak out. It happens. Rinse the cup under cool water, and then apply a little pressure to it with some tissue or a sterile gauze pad. The bleeding will usually stop within a couple of minutes. (If it won't, call your doctor.) Don't use a bandage, as babies love to chew on small objects. And then take a deep breath and relax - and get ready to it all over again next week. Infants nails are super soft so you can just bite them off cleanly. Someone clearly read the article.